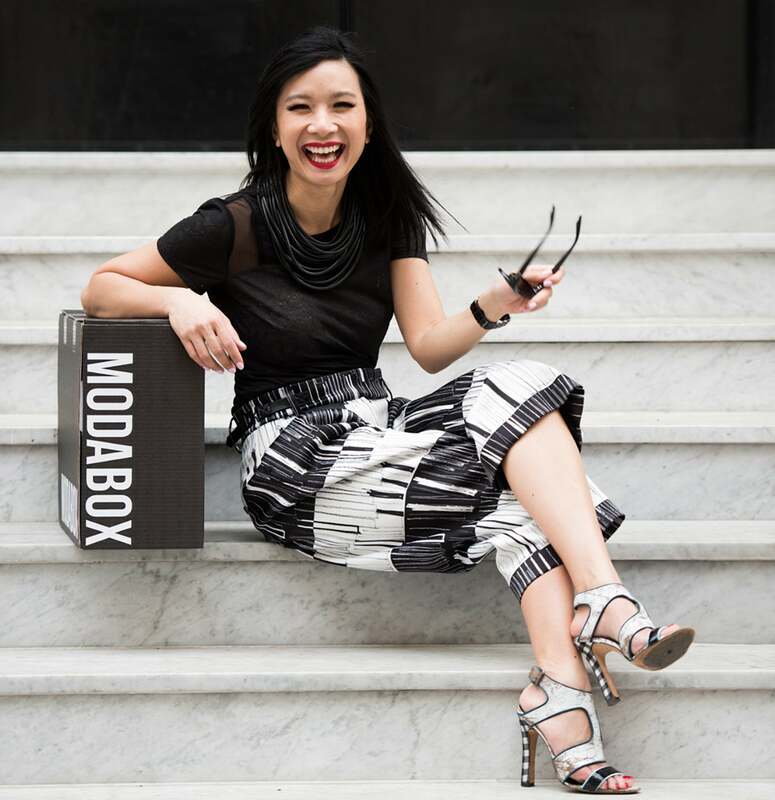 Monica Phromsavanh, Founder and CEO of Modabox. For Monica Phromsavanh, bootstrapping as an entrepreneur doesn’t seem like a major sacrifice, considering the potential upside of her business. After all, her life in New York City as Founder and CEO of Modabox is a long way from Misiones, the small town in northern Argentina where her Laotian family lived as refugees after fleeing the chaos and violence of the secret war that overtook much of Southeast Asia. Phromsavanh dropped out of school at age 14, and began working 60-hour weeks in a dusty warehouse in Buenos Aires where she stood on her feet from morning until night. Instead of resenting the horrible working conditions and meager paycheck, Phromsavanh cherished the opportunity to build a future for herself. “For the first time in my life, I could afford groceries, shoes, and a winter coat. That meant the world to me, and I was happy,” she recalled. When Phromsavanh was 17, her mother, who had left Argentina years before and with whom she had a limited relationship, unexpectedly sent her a one-way plane ticket to New York, along with some money. “Two weeks later, I was on an airplane for the first time in my life and landed at JFK without knowing a word of English,” said Phromsavanh. What began as a job at a chocolate factory making $5 per hour evolved into a sales position at Express. “I took every shift that was available to me, and I never refused any task. I wanted to outwork all of my coworkers, and when I did I was promoted to manager,” she said. From there, she moved to Burberry, and became the top salesperson in the men’s department of the New York City flagship store, followed by a promotion to the accessories department. It is this astute work ethic and unwavering commitment to thinking beyond the status quo that continues to serve Phromsavanh well as an entrepreneur. She constantly sets her sights on the next move, and has a quiet confidence that is both charming and mysterious. “When I left Burberry, I didn’t even know that I wanted to be an entrepreneur, but I was convinced that I could provide customers the same designer experience they received on Fifth Avenue at a fraction of the cost,” she said, and so she started dragging suitcases to the street fairs of New York and building a loyal following. Shortly thereafter, she attracted an initial investment, enough to open a one hundred square foot space at the iconic Limelight Shops, and surpassed one million dollars in revenues in her first year of sales. Three years later, Phromsavanh had built a dedicated team, grown into a 4,000 square foot store, and evolved into one of the hottest retail destinations in Chelsea. Modabox, from the word “moda,” which means “fashion” in Spanish (the language of Phromsavanh’s birth place), provides the luxury of a personal stylist through a data driven online shopping service for women. The company delivers fully coordinated outfits curated by expert stylists, who create recommendations based on the company’s proprietary algorithm. “It’s a scalable, personalized shopping solution that has historically only been available to a very affluent clientele in extremely expensive stores. Instead of searching hours online for the right look, our customers are provided with simple, targeted choices that are on-trend and affordable.” After taking one look at the impeccably dressed Phromsavanh, it’s clear that she knows what she’s talking about. Modabox isn’t the only company to enter the personalized membership model in the apparel sector. Companies like Stitch Fix and MM.LaFleur serve rapidly growing markets, but Phromsavanh is convinced that there is a huge gap to be filled, and that she’s the right person to do it. “There is a vastly underserved market that values convenience and efficiency that is not fulfilled by traditional e-commerce. Apparel is a $116 billion market in the United States alone, and as women dedicate more of their lives to their careers and becoming leaders in their fields, along with raising families, there is little time left for shopping,” added Phromsavanh. Modabox aims to capture the attention and loyalty of women who might not have the time or desire to shop, but desire a fashion-forward, professionally-styled look. It was this tightly focused niche and the staggering numbers behind it that enabled Phromsavanh to be accepted into Circular Board, a virtual accelerator for women entrepreneurs. “I get great satisfaction knowing that I can build a woman’s confidence by helping them to look and feel good, and with Modabox we can create that dynamic on a large scale.” It’s a worthy cause, but in typical Phromsavanh fashion, she thinks even bigger. “My experience growing up has made me aware of the struggles of women and girls around the world, and giving back is a huge part of what drives the Modabox team.” The company has partnered with Bottomless Closet, an organization dedicated to helping disadvantaged women entering the workplace. In every box, there is a note asking members to consider donating gently worn business attire for women, and a pre-addressed envelope to use for any items they wish to contribute. “I will never forget the help and generosity of others, and the influence it had on the direction my life took,” she added. “Growing up in a refugee camp for 15 years, my story could have taken many different, but predictable, paths. I am where I am today both because of all the circumstances of my life, but more importantly because of the resilience they created in me.” It is precisely this resilience that keeps Phromsavanh focused on disrupting the world of fashion retail, and positions her as a standout among women in tech.